If you want to run the Sabor POS with less cables and clutter, you can purchase an Elo Touch Monitor. 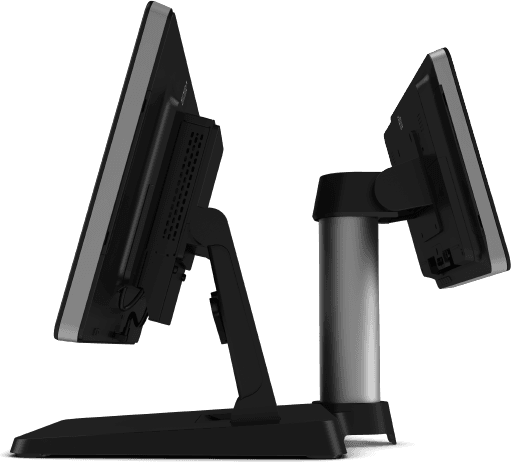 The touch monitor is a blend of Elo’s rugged screen technology and the latest Windows 10 computer. It’s fast, sturdy, and ready to run Sabor POS. Easy to setup and quick to get running. 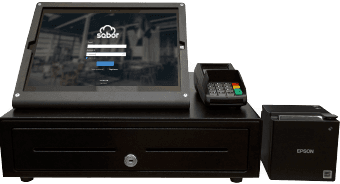 You can setup Sabor POS on any Microsoft Surface, simply find the Surface Pro device of your choice and download Sabor POS. Whenever you want to upgrade, simply swap the Microsoft Surface and you’re back to making sales on the Sabor POS. Sabor POS supports many different devices. Any Windows 10 device works for Sabor POS. Tablet, Desktop. Laptop, and more. You’ll always have a new device to run Sabor POS with. Sabor POS has over 200 features that can help you run your restaurant easier and more efficiently. If we don’t have a feature you need, just shoot us a message at customer support and we’re happy to add it. 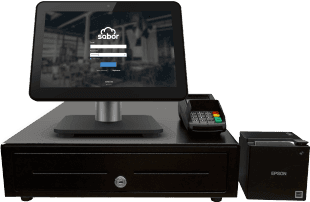 Sabor POS was built by Restaurant owners, waiters and managers. We’ve made our Interface simple and easy to understand with speed as a focus. We removed the clutter from older POS and put the top features in the spotlight.